Floyd Mansberger and Christopher Stratton of Fever River Research completed a study in 2012 of City Water, Light and Power’s Lakeside Facility — both electric and water plants — preparatory to applying for designation by the National Register of Historic Places. The resulting report, like other Fever River studies, is an informative historical and archaeological analysis. 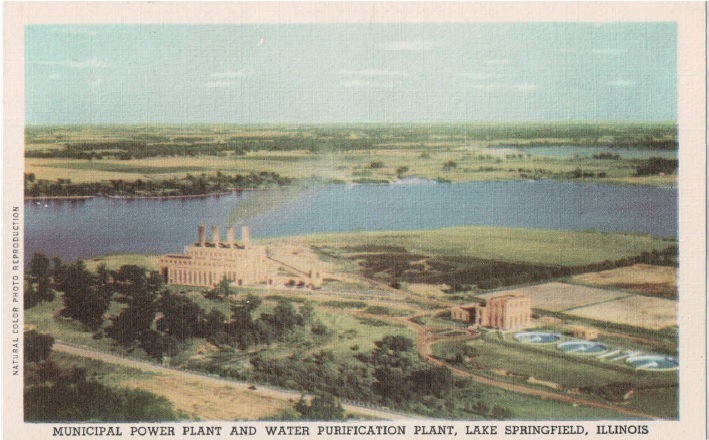 Among topics included on the Lakeside Facility study are the plants’ development history, archaeological and engineering features, brief biographies of many of those involved in their creation, the roles of the Burns & McDonnell engineering firm and of architect Carl Meyer, creation of Lake Springfield and other issues. The West Side Capitol report formerly was available online; however, Fever River’s website was hacked in 2014, and this report is among several that, as of March 2015, had not yet been restored. Note: One unfortunate error could be misleading. Fever River repeatedly mentions “Mayor Dapp” (no first name given) of Springfield. The mayor in question actually was John “Buddy” Kapp, who served four terms in office, from 1931 to 1947. This entry was posted in Buildings, Fever River, Local government and tagged National Register. Bookmark the permalink.